The tab Main contains the group Modules, where all modules related to day-to-day activities are located. When a module in the group is open, each module may have a sub-group named Actions that opens sub-modules, performs actions of prints reports. The tab Master Data also contains a group named Modules, but these modules relates to master data that is not used on a daily basis. Most modules here also have a sub-group named Actions. - Save: If the currently open module has un-saved data, the button is enabled and can be clicked to save changes. - Discard: If the currently open module has un-saved data, the button is enabled and can be clicked to discard all changes. A warning will be shown to confirm. - Print: Print the main grid of the currently open module. - Online Doc: Links to the online documentation of the currently open module. - Reset Layout: Resets all custom layout and set the while application back to its default layout. 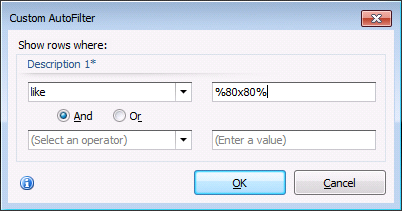 - Enable Modules is used to control which modules are active and usable on these executing computer. To enable a module, license information must be show. Licenses can be purchased at www.siqnal.com. - Unlock Module is used to unlock projects, bills of materials, etc. When one person opens for instance a BOM, it is locked for other users to use until it is closed again. In a situation where the person locking is unavailable and has the module open, the module can be unlocked. An unlock only unlocks and does not close the module on the other computer, as this could result in lost data. Saving data should therefore be coordinated. - Import Web Data: Opens a file explorer to identify an xml file downloaded from http://www.siqnal.com/DownloadTypes and import the file to the module Types. - Client/Server Settings see the documents http://www.siqnal.com/Docs/ClientServer.aspx. - Online Videos: Link to Online Training Videos http://www.siqnal.com/Videos. - About Siqnal: Shows versioning information about the installed Siqnal version. In general data can be sorted by filtering on the column headers by using the funnel symbol at the right upper corner of a column header. The symbol is appearing by moving the mouse over the column header. (Blanks): Filters to show only rows that has no value in this column. (Non blanks): Filters to show only rows that has a value in this column. In general columns can be sorted ascending or descending by clicking columns headers. An arrow will symbol direction and sorting column. The Embedded Navigator in modules is placed at the left bottom corner of a window. - First / Previous Page / Previous / Next / Next Page / Last: Standard navigation to jump back and forth in current rows. - Append: Creates a new row. - Delete: Deletes the currently selected row. A confirmation will be displayed. - Edit: Opens the value editor of the current field. - End Edit: Stops the editing of a field. - Cancel Edit: Closes the field edit without changing the value. - Space: Opens a drop-down list. - Tab: Tabs through windows and fields. - F5, F6, F7, F8, F9, F10: Opens modules and sub modules. - Ctrl + s: Saves the changes. - Ctrl + d: Discard the changes. - Ctrl + p: Opens the Print Preview window see http://www.siqnal.com/PrintPreview.